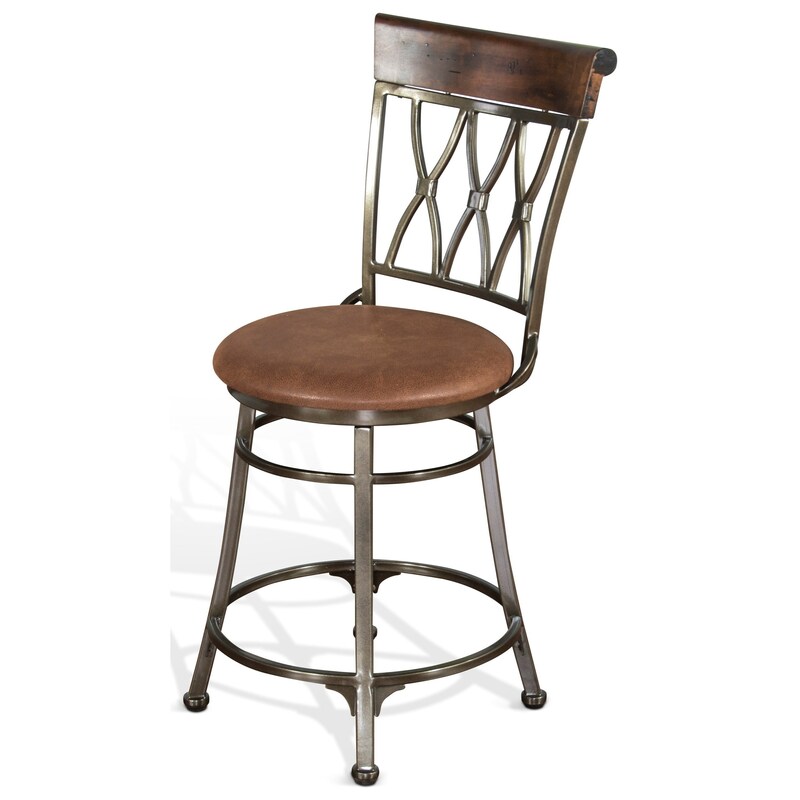 Create additional seating and contemporary style in your kitchen with this metal counter-height barstool. The dark metal frame and unique metal work on the chair back are balanced out by the wood cap rail and light coloring of the cushioned seat. Its seat cushion has also been crafted from a durable microfiber, so spills can be easily cleaned with a napkin or rag. The 1802 24" Contemporary Metal Swivel Barstool with Cushion Seat by Sunny Designs at Furniture Mart Colorado in the Denver, Northern Colorado, Fort Morgan, Sterling, CO area. Product availability may vary. Contact us for the most current availability on this product. Seat Cushion seat constructed of durable microfiber. Features Legget and Platt swivel mechanism. Browse other items in the 1802 collection from Furniture Mart Colorado in the Denver, Northern Colorado, Fort Morgan, Sterling, CO area.